If you wish to host/organize a Thetahealing course in your area or for your center contact me. Si vous voulez organizer un cour dans votre region ou pour votre group ou centre communiquez avec moi. 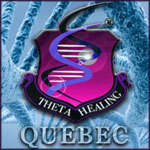 The DNA 2 Basic ThetaHealing course will introduce you to the concepts and foundation techniques of ThetaHealing®. You will learn how to connect to and work directly with the Creative Source Energy to heal a wide range of physical, emotional, psychological and spiritual issues. This practical hands-on workshop focuses on developing your skills as a ThetaHealer® through the practice of theta trance states, visualization, belief work, muscle testing, digging techniques, witnessing and intuitive seeing, feeling and sensing. To facilitate the integration of the basic course teachings and prepare you for the advanced course supervised weekday evening practice sessions can be organized at minimal cost depending on demand by the students. 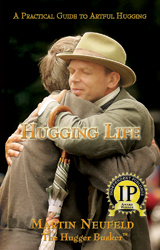 The Advanced DNA 2 Class takes ThetaHealing to the next level. Students will learn how to go deeper and quicker into Theta and bring about profound shifts in consciousness. This course will prepare you to become a confident and proficient ThetaHealing practitioner. The emphasis will be on focused on the seven planes of existence and on advance belief and feeling work, and digging techniques; how it works, how to use it effectively, how to dig to get to the root of an issue, how to resolve it to create lasting change and how to install the beliefs and feelings needed to support the change. This is the true power of ThetaHealing and the foundation of your practice. By the end of this class students will be certified advanced ThetaHealing Practitioners and will have the confidence to use ThetaHealing® effectively in their personal life and as professional practitioners. Imagine what your life, relationships, career or business would be like if you could change the emotional triggers and psychological blocks that keep you from experiencing the full richness of success, contentment, love and abundance in your life. In this amazing class, you learn to take full responsibility for the present outcome of your life and receive the knowledge and the tools necessary to shift your paradigm from doubt to faith, from fear to love, from lack to abundance, and in doing so manifest an abundant and fulfilling future now. Using all the techniques that you perfected in DNA2 Basic and Advanced you will learn to identify what it is you truly want and be able to quickly clear many of the limiting beliefs that keep you from realizing your dreams. You will learn the 100 most important beliefs that keep you from manifesting with grace and ease. Learn how to get to the bottom belief so you can clear the entire belief system gracefully. You will also learn to integrate various manifesting techniques with Theta to achieve maximum results. During the daily practice sessions you will, individually and with a partner clear 100’s of limiting beliefs in the areas of: relationship, money, success and abundance. A JOURNEY TOWARDS MANIFESTING YOUR HEART’S DESIRE, as well as bring more presence and awareness to your sessions, greater precision and clarity when witness healings, doing body scans and remote viewing (distance healings). Day one of this three day intensive focuses on a variety of advanced digging techniques to help you the practitioner get to the bottom of the most common issues quickly and effectively. Lots of time is given to practice the techniques and to work through personal blocks and issues in more depth. This intensive practice day will prepare you to effectively deal with integrate the material covered in the manifesting and abundance workshop. Over the next two days we will focus on recognizing and resolving many of the beliefs, attitudes and feelings that hinder and enhance the ability to manifest and sustain abundance in your life. Learn about Divine timing, clearing negative energies in homes and of course mastering the art of creating abundance for yourself and for your clients. Learn to integrate ThetaHealing effectively with other manifestation techniques: vision boards, letters of intention, Huna Breathing, … so that by the end of the course you will have created your own vision boards and letters of intention and you can manifest with grace and ease what you most desire NOW. Throughout this powerful workshop you will also learn specific visualization techniques, meditations, and awareness exercises to super charge your manifesting abilities and develop tools to enhance visualization and focused awareness.